Port Grimaud is a charming lakeside town nestled away in the Gulf of St. Tropez and is ideal for leisure, offering many activities for those who decide to visit. Whether it is over the summer, or any time during the rest of the year, everyone finds happiness here, both in its location and in its offerings. It is a quasi-mythical place that will bring you relaxation in whichever form you desire, whether it be bucolic, artistic, historic, or sportive. 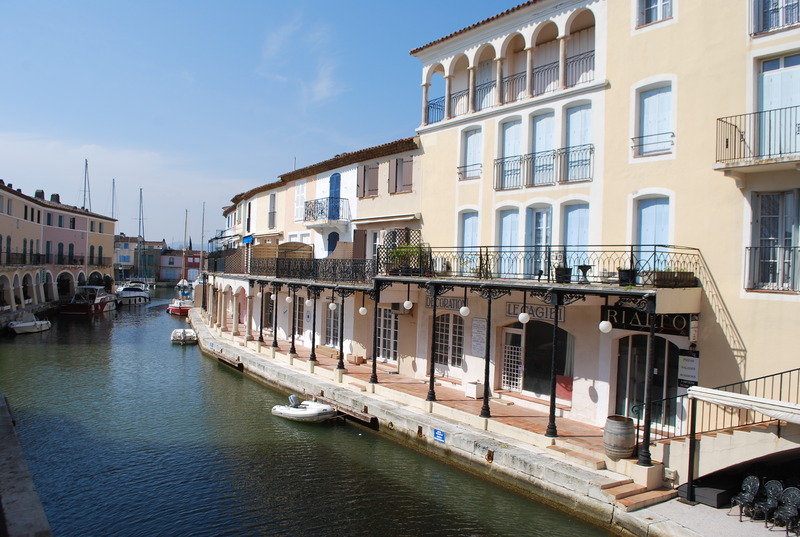 Port Grimaud is all about the Dolce Vita and outings, especially if you have the good sense to take off on the shuttle to St. Trop’ as soon as you feel the urge to escape. Its configuration is such that the rentals are immediately coupled with a mooring right in front of the door, a most desirable and practical proximity. If you want to go for a stroll, no problem: on board the local « coches d’eau » or on foot, the canals are bordered by walkways that you will find pleasant to walk along. This Provencal Venice has more than one trick up its sleeve to seduce you, especially with a dinner by the water that nobody can refuse after returning from a getaway. What’s more is that every Thursday and Sunday morning, the Market and Craftsmen squares (Place du Marché and Place des Artisans) open their stalls, bringing together traditional and regional products. In the middle of a large colorful bath, you will find seafood and all the ingredients and vegetables to marry them with your sauce. 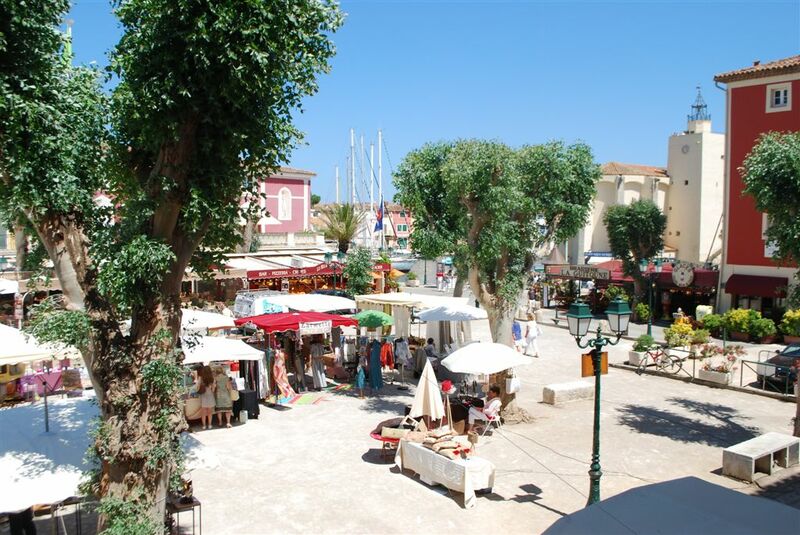 The Market Square in Port Grimaud. In the background, you can see the church where François Spoerry, the creator of Port Grimaud, is buried. If Port Grimaud is compared to a sentinel, it is only to better preserve its little corner of paradise—in this case, a medieval village. It is impossible to ignore all the opportunities that are offered to you for penetrating this preserved nature with subtle accents suitable for strolling and engaging in activities in the fresh air. 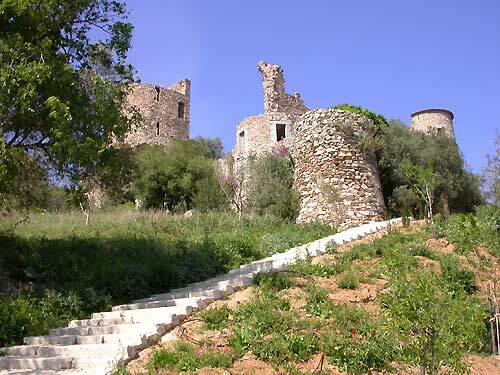 Its castle guards a story that will delight all, young and old, as much as it did during the 1930s, when the city won the hearts of the lovers of the south of France. Its narrow streets with archways are designed for enthusiasts of old stones. Tourists have emphasized the beauty of its sun-bathed shores, as well as its resorts along the Riviera, between the azure blue of the ocean and the soothing green of neighboring countries. 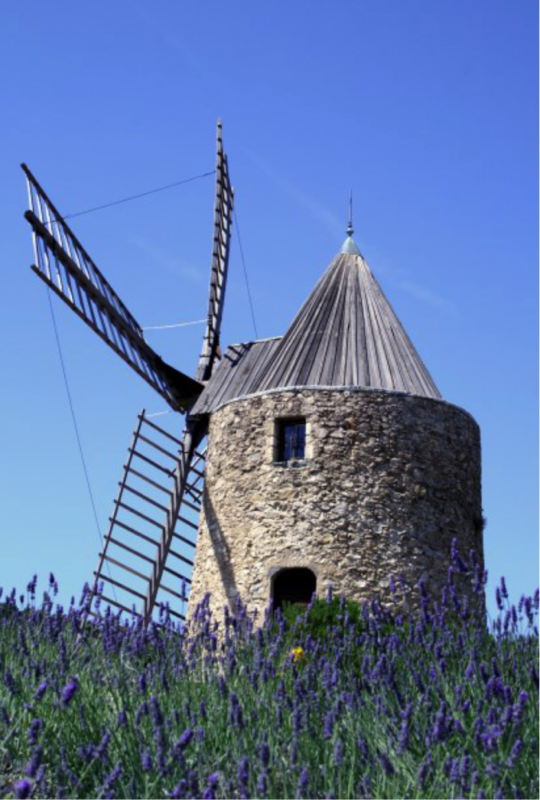 The charm of its vineyards is matched only by its single maquis. As for culture and art, every day during the summertime, an outing or an exhibition is improvised and designed for your entertainment. Free guided tours of the Saint Roch chapel and mill are organized once a month. If you are hesitating, simply let yourself be tempted by all the seduction that oscillates between Province and the Côte d’Azur. Whether or not you want to enjoy the proximity of St. Tropez to immerse yourself in its glamor universe is only a detail in itself. One of the shuttles will take you, in less time than it takes to speak the words, to place you in the wake of one of the marvels of this world. Cette entrée a été publiée dans English le 10 mars 2017 par Boutemyblog.